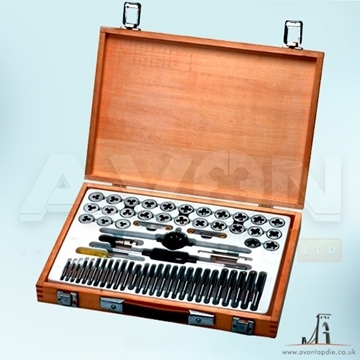 NPT Tap & Die Sets. Highest Quality. Free UK Shipping. Set includes 1.1/4 - 1.1/2 - 2" Plug tap together with dies supplied in separate plastic box with holders and wrenches.